Do you pride yourself on offering your clients the necessary knowledge in order for them to make an informed purchase? A lot of information gets lost when dealing with customers, such as deals and details they may want to remember. 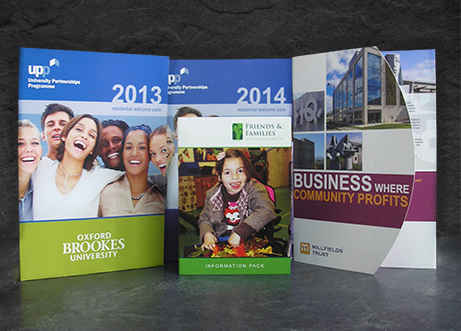 Our printed presentation folders help you organize your business documents, so you can hand a customer on the go all of the details they need, without the fuss or complication of single leaflets. Our design and print service can create your bespoke, branded presentation folders, to package your important promotional documents and promotional media.